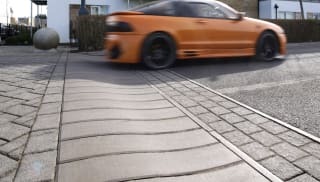 If you’re looking for effective traffic-calming measures, rubber speed cushions are an ideal solution. 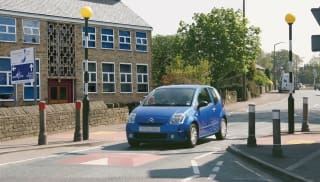 Perfect for school areas and town centres, their modular design allows for quick and easy installation on any road surface. Choose from Plateau or Domed options – the main difference is on the top and the variety of gradients of slopes, both depending on vehicle speeds in the area. Both are durable enough to withstand heavy traffic on congested roads and can be removed and reused on alternative routes. 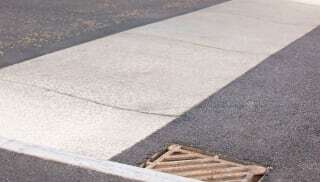 Our rubber speed bumps are designed to meet global safety standards. In addition to the general Highway Regulations 1999, both types comply with the Traffic Advisory Leaflets TAL 4/94, 11/94, 7/93 and 7/96. They’re also compliant with Local Transport Note LTN 01/07 and 01/08. Our rubber speed cushions come in Red or Black options and can be installed to meet your exact specifications.